The Android-based console will soon be sharing shelf space. It looks like the Kickstarter-funded Ouya won't be limited to its backers and online orders. If you still wanted to get your hands on the open-source platform, it will be heading to retail outlets when it officially launches. 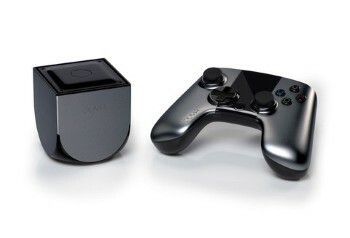 The Ouya will be available in June 2013 via Gamestop, Target, and Best Buy, while online buyers can purchase one from Amazon after launch day. Pre-orders have also been announced, and you can do so via the official website to receive one in April. Kickstarter backers will still get an earlier release of the console when it's unveiled in March. The pre-order page has a console and controller package priced at $99.99, while an extra controller will cost you another $49.99. CEO Julie Uhrman acknowledged the "premium price" of the controller, citing the "inclusion of the touchpad" as justification for the price tag. When questioned on the Ouya's future retail performance in the coming year in the face of a new console cycle and a generally negative outlook, Uhrman replied: "We don't need to beat Xbox or Sony or any console that enters the marketplace, we need to carve out our own niche. OUYA offers a very different value proposition to the gaming you can currently experience. It's a box designed specifically for the television that leverages the screen, we support 3D gaming, HD, we support the controller, we added a touchpad to the controller. "The kind of content you'll see on OUYA, it'll be inventive and creative and has never been on the television," she said.